It is really frustrating if we don’t get good sleep at night. In modern society, the very common problem most of us experience is not getting enough good sleep and avoid sleeping due to work stress and other stress-related problem. Just as our body needs food and water to function well, it needs good sleep too. For a life full of good health and wellbeing, good sleep is also equally important as good food and clean water. As all activities we do in the following day, is all dependent on how well we have slept the previous night, a day full of energy and action, totally depends on the quality of our sleep or what the body knows as rest. The food choices that we make on an everyday basis holds a lot of importance to the quality of sleep that we get. 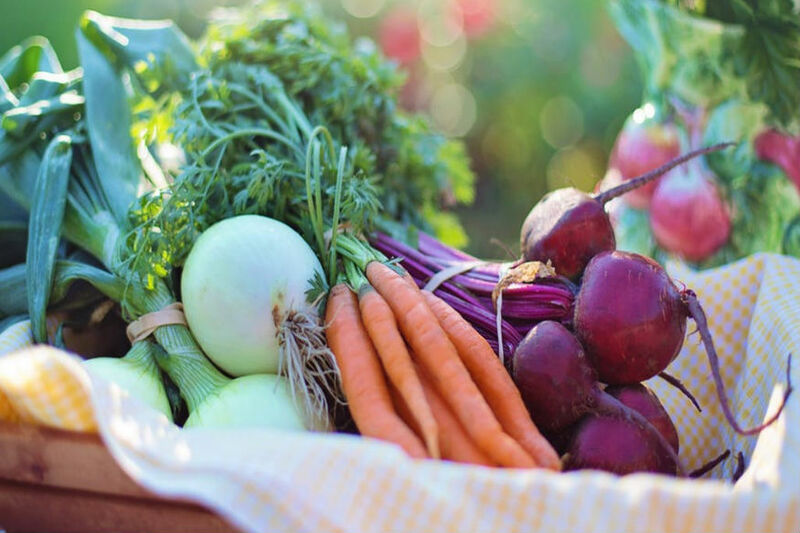 Although there are numerous factors that affect our quality of sleep, there are certain factors like food choices, which are under our control totally and can play an important role in improving the quality of our sleep and thereby, the quality of our life. 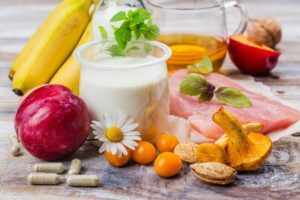 It is a chemical substance found in foods that help the body produce an amino acid called L-tryptophan, and this is essential for the production of the two – serotonin (a neurotransmitter) and melatonin (the hormone). These two helps slowing down the nerve traffic in our brain and thereby helps in relaxing the entire body system. 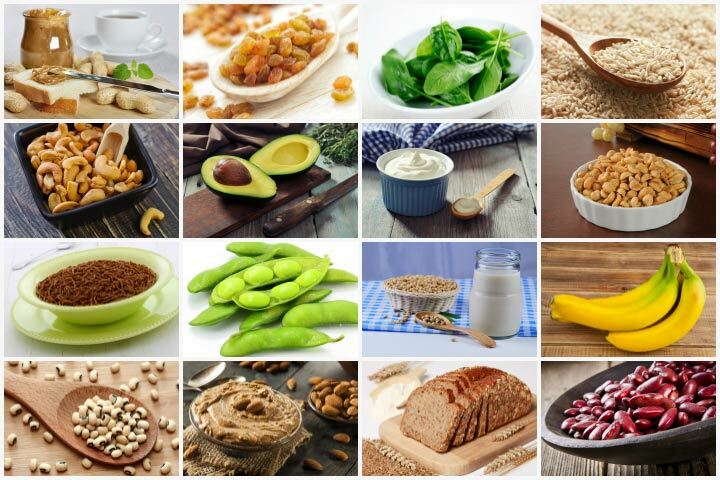 Good Food Sources: Fruits (avocado, banana, peaches and apples) / Vegetables (asparagus, turnips, spinach, broccoli) / Low-fat dairy products / Whole grains (barley, rice, wheat), Nuts and seeds (cashew nuts, almonds, flax seeds, pumpkin seeds) / Legumes (chickpeas, kidney beans, lima beans) / Chicken / Seafoods. The most important roles of vitamins and minerals are to convert serotonin into the hormone melatonin. This is responsible for good sleep and rest. There are foods that are naturally rich in melatonin should be included in our diet to enhance the quality of our daily sleep. Direct Food Sources: Fruits (pomegranates, cherries, grapes, olives) / Vegetables (cucumber, broccoli, corns, asparagus) / Nuts and seeds (peanuts, walnuts, mustard seeds, sunflower seeds) / Whole grains (oats, barley, rice). 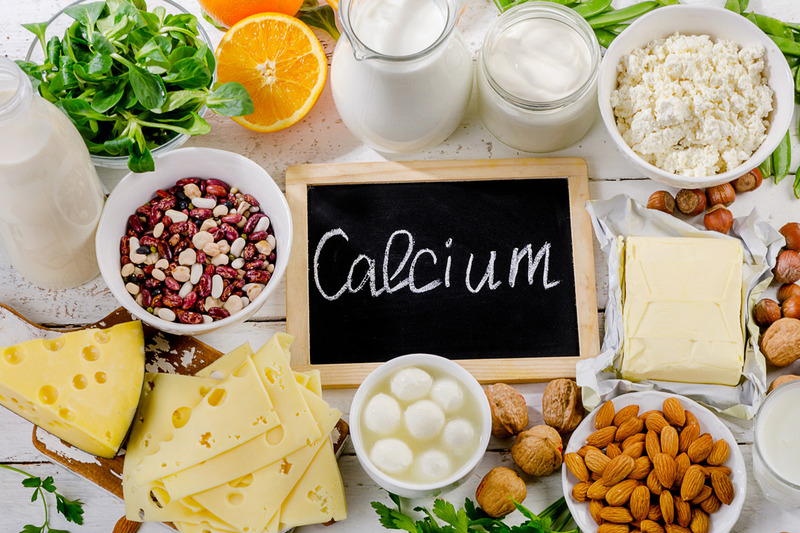 It has been observed that deficiency of calcium in humans can lead to conditions of insomnia and other sleep disorders. It is all because calcium is amongst those vital minerals that are instrumental in helping our brain make melatonin. Deficiency of calcium and give you sleepless nights and make it difficult for you to sleep. Foods rich in calcium are always recommended by experts in such cases. Magnesium-rich-food vital mineral is often referred to as ‘the sleep mineral’. Its deficiency in the body has the same impacts as it has with low calcium. It works as a natural relaxant in the brain and helps by deactivating adrenalin effects. Rich Food Sources: Fish (salmon and tuna), Fruits (banana and avocado), Dark leafy greens (spinach and kale), Nuts and seeds 9almonds, cashew nuts, Brazil nuts, flaxseeds, pine nuts). There are many other types of foods that can be considered for a good night sleep. A good example of such food types is carbohydrates. They make you feel sleepy and relaxed after consuming them. You have to monitor your carb intake. It has to be moderate and controlled especially during dinner meals. Getting adequate and a good night sleep in important for good health and happy living. Now, know which all foods can help you get some peaceful and quality night sleep, include them in your meals and feel the difference. 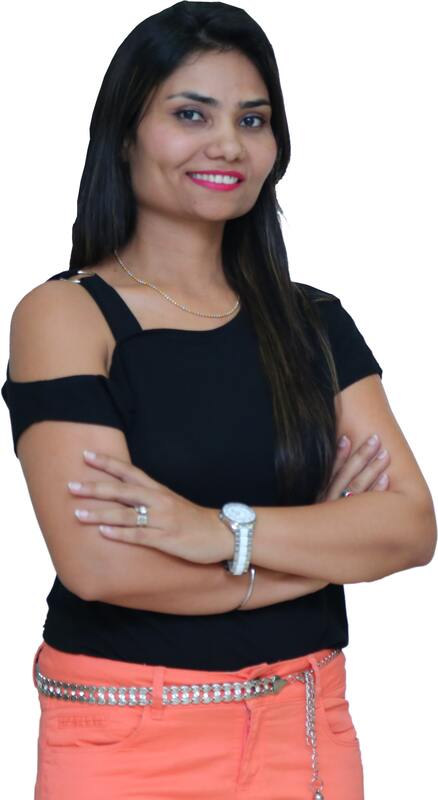 A motivational speaker, an expert dietitian and a strong believer of healthy and motivated living, she has transformed the lives of many through her breakthrough diets and inspiration on living a healthy life. “Silicon India Start-Up City” has recognized and awarded “Diet Clinic” in their annual listing of “10 Best Startups in Fitness, 2017”. Sheela always says – ‘Let Your Diet Work for You’. She aims to spread the message of wellness and the art of dieting through her clinics across various parts of the globe.